A Boulder entrepreneur helped to bring chai tea to the mainstream. Now, he hopes to do the same with CBD. ANAHEIM, Calif. — Selling Americans on chai, a spiced black tea with roots in herbal medicine, was a heavy lift for Colorado entrepreneur John Simmons. Nearly 25 years after the founder and former CEO of Boulder’s Third Street Chai introduced consumers to a largely unknown beverage, Simmons is putting his back into a new product push: He’s all-in on a cannabis extract hailed for its medicinal properties but facing a regulatory future yet to be determined. Last week, Simmons and business partner Matt Oscamou, founder of San Jose, Calif.-based Frontier Snacks, unveiled Weller Snacks, a hemp extract-enhanced food brand, at Natural Products West Expo in Anaheim, Calif. The duo are among an intrepid class of natural products pioneers determined to bring cannabis-derived extracts rich in non-psychoactive compounds and cannabinoids such as cannabidiol — known as CBD — to grocery store shelves. Expo West, the industry’s largest trade show, served as the coming out party for CBD and brands like Weller Snacks. The 20-plus hemp extract products that debuted there didn’t much resemble the marijuana-derived CBD oils and tinctures found in dispensaries elsewhere in California — or any of the seven other states with legal adult-use marijuana sales. Instead, the CBD-infused products on display at Expo West included honeys, sparkling juices, flavored waters, and pet and horse botanicals. The hemp extracts used in these products are marketed much like turmeric, Omega-3s or garlic are — as health- and wellness-enhancing ingredients. The hemp extract-enriched coconut bites developed by Simmons and Oscamou are designed for occasional consumption by adults for the purposes of making them feel “weller,” Simmons said. Each serving contains 5 milligrams of extract, sourced from an Oregon hemp farm run by Frederick Schilling, the founder of Dagoba Chocolate, an organic chocolate company that was bought by The Hershey Co. in 2006. The learning curve, risks and unknowns of marketing hemp extracts are similar to those Simmons faced with chai back in 1995. This was the first year that Expo West formally embraced cannabidiol. Beyond opening the floor to hemp extracts, organizers dedicated a half-day seminar to the business opportunities, potential health-and-wellness benefits and legal uncertainties of the cannabis compound. The inaugural “CBD Summit” saw producers and pundits project bountiful sales growth. But they also swaddled their bullishness in reticence, noting pitfalls such as the limited research available and labeling semantics that could be regulatory no-nos. CBD is a natural products trend built on shaky ground, said Michael T. Murray, a naturopathic doctor and author who has thrown his support behind Emerald Health Bioceuticals, a San Diego-based firm producing supplements featuring cannabinoids derived from non-cannabis plants. “There’s more hype right now than there is real, solid science,” he said. But the hype is real for natural product stores, where hemp extracts are growing at an annual clip of 300 percent, said Sean Murphy, publisher of Hemp Business Journal. Last year, 14 percent of the $190 million in hemp-derived CBD sales were registered by natural product retailers, according to Hemp Business Journal data. By 2022, those stores should account for 28 percent of the projected $646 million in hemp-derived CBD sales. 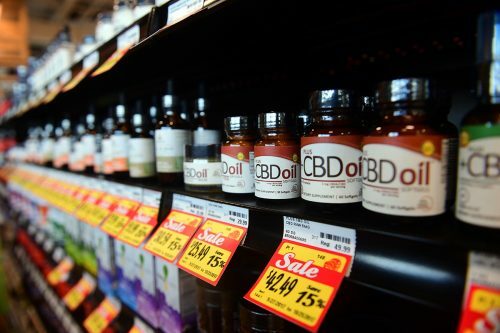 That’s good news for mom-and-pop health foods shops such as Adele’s Naturally in Evansville, Ind., which is “1,200 square feet, soaking wet” and “selling a whole lot of CBD,” according to store manager Jordan Fink. Since Adele’s started selling hemp extracts last fall, the store has been hard-pressed to keep the products on the shelves, Fink said. On some days, dozens of customers line up for the FedEx truck to arrive with a new shipment, he said. Adele’s also continued selling the products despite Indiana Gov. Eric Holcomb’s calls for their removal. Similar anecdotes have been flying across the natural products scene. “I think it’s been a savior in a lot of ways for a lot of small health foods stores,” said Ola Lessard, a spokeswoman for Barlean’s, a Ferndale, Wash.-based company known for flax and fish oils. The company launched two hemp oil products at Expo West: Organic Ideal CBD Hemp Oil and Extra-Strength Ideal CBD Hemp Oil. CBD has been on the radar of Barlean’s “for several years,” Lessard said. Healthy oils have been The company’s schtick for 29 years, so adding hemp extracts wasn’t too far of a leap, she added. The massive trade show was a good gauge of retailers’ appetite for hemp extracts, Lessard said. Retailers are ready to stock products with hemp extracts, said Nick French, the founder of Colorado Hemp Honey, a Parker, Colo.-based maker of honey infused with full-spectrum hemp and essential oils. 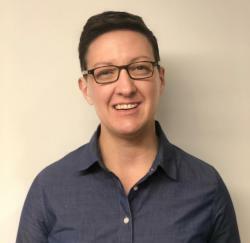 Many natural products companies have taken wait-and-see stances toward CBD, said Todd Runestad, ingredients and supplements editor with New Hope Network, the Boulder-based media firm that organizes Expo West. The natural products industry’s risk tolerances haven’t been high enough to stomach the notoriety and potential for enforcement actions that come with these products, Runestad said. Late last year, however, Colorado-based Lucky’s Market made a big splash by launching dozens of CBD-rich extract products at its two dozen grocery stores located across the United States. The more sizable retailers have yet to follow suit. But if the buzz at Expo West proves true, that could change in a matter of months. “We’re predicting that the larger natural products retailers are going to enter this year,” said Hemp Business Journal’s Murphy. The makers of Weller Snacks, for one, are not waiting for retail acceptance. In January, Simmons and Oscamou raised more than $1 million to get Weller off the ground, U.S. Securities and Exchange Commission filings show. The equity infusion, $1.25 million in total, came from Michael Dearing, a former eBay executive, Simmons said. Simmons sees parallels between the inception of Weller Snacks and the launch of Third Street Chai in 1995. Third Street Chai initially found acceptance in Boulder — long a natural foods capital — and eventually leveraged local success into national brand recognition. These days, Boulder isn’t just a natural foods hub, it’s also a haven for tech startups and giants, including Google. Combined with Colorado’s adult-use cannabis regulations, the region is ripe for acceptance of hemp extracts for health and wellness, Simmons said. Part VI – Race for CBD medication breakthrough: Is pharma firm’s boon the hemp industry’s doom? Part VII – Cannabinoids on local grocery shelves, but for how long?